Are You Ready? Winter - Get Prepared! The Safeguard Iowa Partnership is a voluntary coalition of the state's business and government leaders, who share a commitment to strengthen the capacity of the state to prevent, prepare for, respond to, and recover from disasters through public-private collaboration. Created in 2007 by the Iowa Business Council and representatives from key state agencies, the Partnership empowers businesses to integrate business resources, expertise, and plans with those of government during all stages of disaster management. The government cannot and should not be the only responders in a disaster situation, as the private sector has a wealth of knowledge and assets that may be needed during an emergency. Public-private partnerships help to establish relationships prior to incidents, when familiarity with each other's capabilities and response procedures are paramount. These partnerships enable the public and private sector to develop all-hazard plans to pool resources and information, coordinate response and recovery efforts and share training and exercise opportunities. Safeguard Iowa Partnership became an Iowa nonprofit corporation on July 25, 2008 and granted 501(c)(3) tax status from the Internal Revenue Service. Safeguard Iowa Partnership organizational structure includes Board of Directors and a full-time Executive Director. Executive Committee - The Executive Committee Consists of the Past Chair, Chair, Vice Chair and the Treasurer. 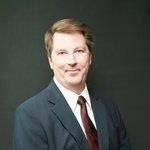 David Hempen is the manager of business continuity and security investigations for MidAmerican Energy Company. David has oversight for all business continuity, security investigations, and criminal intelligence programs and ensures compliance with regulatory requirements. His responsibilities include conducting threat assessments; developing business continuity plans and exercises; providing information, training and guidance to management and employees; managing response, mitigation and recovery activities; and acting as a liaison with various government, emergency management, and federal, state and local law enforcement officials. 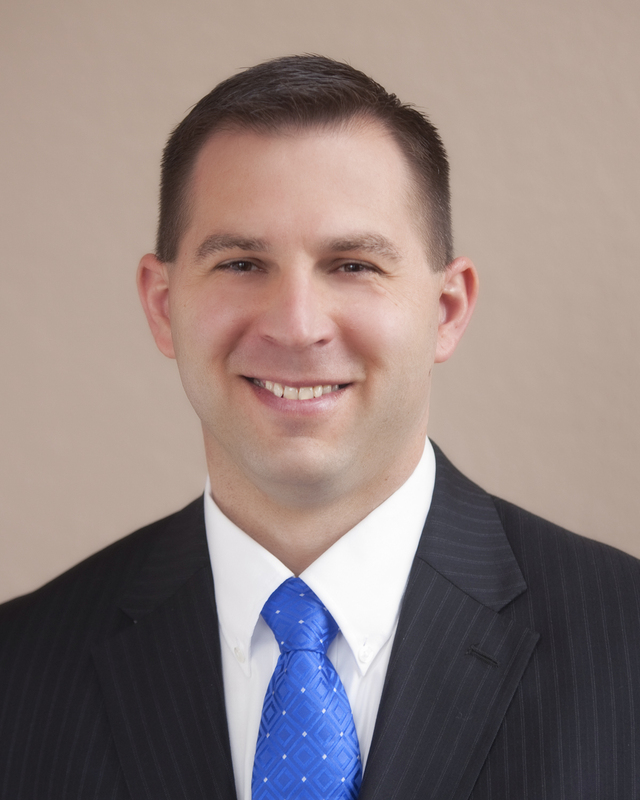 Prior to joining MidAmerican Energy Company, Davids was the Preparedness Bureau Chief for Iowa Homeland Security and Emergency Management and was responsible for planning, training and exercise activities in the state. This includes the state Emergency Response Plan, Iowa Recovery Plan, Iowa Hazard Mitigation Plan, the Capitol Complex Plan, as well as specialized plans, such as, the Continuity of Government Plan, Special Needs Planning and Agriculture Emergency Planning. David also served as a police officer for the City of Cedar Falls for over 21 years, and was canine officer for 12 of those years. David retired from the department has Lieutenant in charge of training. Mr. Sharp began his employment as an environmental specialist with the Iowa Department of Public Health (IDPH) in December 1993. As a member of a four-person flood recovery team, he and his colleagues were tasked with performing a survey and evaluation of 800 private water wells in Iowa. In January 1995, he joined the childhood lead poisoning prevention program where he evaluated the environmental condition of homes occupied by lead-poisoned children and worked extensively to develop and instruct curriculum for the certification of lead professionals in the state. In August 1999, Mr. Sharp accepted the environmental health consultant position at IDPH and, in 2003, was assigned as manager of the Office of Technical Assistance within the Division of Environmental Health. The office provides a leadership role in educating local boards of health and environmental health specialist regarding their responsibilities for environmental health programs. Programs delivered through this office have included environmental health capacity building, environmental health specialist network, environmental health emergency response, comprehensive assessment of rural health in Iowa, grants to counties water well program, and others. Mr. Sharp was appointed Director of the Environmental Health Division in September 2007. His role was expanded in September 2013 to direct the Division of Acute Disease Prevention, Emergency Response and Environmental Health. This Division oversees the health protection function of IDPH and includes acute disease prevention and surveillance activities, emergency response, environmental and occupational health, immunizations and tuberculosis, and radiological health. Ken earned his Bachelor of Arts in environmental science with a biology minor from Simpson College in May 1993. In November 2009, he received his Master of Public Administration from Drake University. Jay has been actively involved in physical and information security for over 25 years. Jay is primarily responsible for the development and delivery of a comprehensive Information Security Program at GreatAmerica Financial Services Corporation. Prior to joining GreatAmerica in October, 2017 Jay performed similar duties for Hills Hank and Trust Company from 2001 to 2017. Jay served 10 years in the United States Air Force and Iowa Air National Guard. Jay served in numerous locations including Misawa, Japan, Bellevue, Nebraska, Mountain Home, Idaho, Riyadh, Saudi Arabia and Fort Dodge, Iowa. Jay's service included stints with the Air Intelligence Agency, Air Force Intelligence Command and Air Combat Command. Outside of Bank responsibilities, Jay is an active member of Safeguard Iowa Partnership, Infragard and Jay is a Certified Information Systems Security Professional (CISSP) and a Microsoft Certified Professional (MCP). Jay received his Associate of Applied Science degree from the Community College of the Air Force in Electronic Systems Technology. Kevin Winker attended the 13th Iowa Department of Public Safety Academy in 1988 and upon graduation started his career with the Department as a Trooper in the Iowa State Patrol. Kevin transferred to the Division of Narcotics Enforcement in 1990 and has held a number of positions within the investigative divisions of the department since then. In 2005, Kevin was promoted to the rank of Special Agent in Charge in the Division of Criminal Investigation and in 2008 was promoted to Assistant Director and supervised the Field Operations Bureau which included the Major Crime Unit, Missing Persons Unit and Cyber Crime/ICAC Unit. In 2010 he transferred back to the Division of Narcotics Enforcement as their Assistant Director and on September 1, 2013 was assigned to the Division of Intelligence and Fusion Center. Kevin has served as the Director of the Iowa Fusion Center since 2014. In 2018, Kevin was promoted to Director of Investigative Operations for the Department of Public Safety. He currently has oversight of the Department’s Division of Criminal Investigation, Division of Narcotics Enforcement, State Fire Marshal Division, and Division of Intelligence and Fusion Center. Kevin is a graduate of Mount Mercy College in Cedar Rapids, Iowa where he obtained a B.A. in Criminal Justice Administration. In 2008 he attended Northwestern University’s School of Police Staff and Command and in 2011, attended the 244th Session of the Federal Bureau of Investigation’s National Academy in Quantico, Virginia. Board of Directors Members at Large - Members at large are elected by the Safeguard Iowa Partnership members and serve a three year term. Brent Kock is a Sergeant with the West Des Moines Police Department and supervises the Training and Emergency Management Unit. 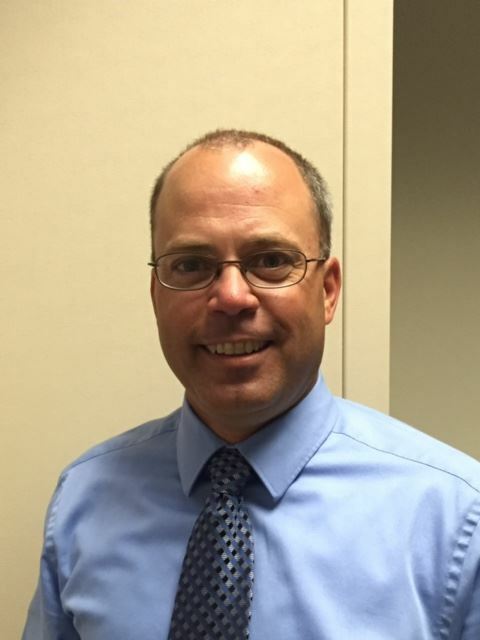 Brent joined the West Des Moines Police Department in 2000 and since January 2015 he has worked alongside local public and private school districts and the local business community, encouraging them to develop a crisis plan to deal with both natural and man-made disasters. Sgt. Kock has served as the department’s K9 handler for nine years. During that time, he served two terms as a regional president of the United States Police Canine Association and has also served as the national supply officer since 2009. Sgt. Kock has spent 15 years on the department’s tactical team and has served in all positions from entry team member to his current position as a team leader. Sgt. Kock received his Bachelor’s degree from Simpson College in 1998 in Environmental Science and Secondary Education. He returned to Simpson College and received his Master’s Degree in Criminal Justice in 2011. In the summer of 2016, Sgt. 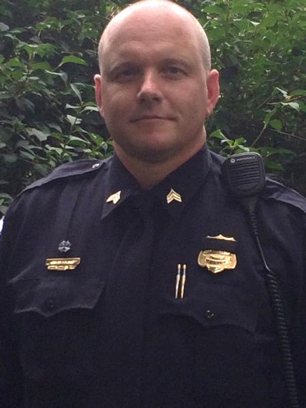 Kock graduated from the Northwestern University School of Police Staff and Command. Brent resides in western Polk County with his wife Nikki and their three sons. Michael Louden, Team Lead Security Services, Alliant Energy, has worked in the retail and utility security industry for over 30 years. He has managed all aspect of security operations including investigations, contract management, law enforcement liaison, executive protection, security installation & design, security and guard operations. During his tenure at Alliant Energy, he has held a variety of roles including Investigator, Senior Security Consultant and Lead Security Consultant, Michael frequently collaborates with state and local law enforcement, FBI, and Department of Homeland Security. He has a Bachelor's Degree in Law Enforcement Administration from Western Illinois University and earned his CPP from the American Society for Industrial Security (ASIS) in July 2013. Vicky McKim holds a Master Business Continuity Professional Certification and is a Member of the Business Continuity Institute. She has nearly 30 years of experience in the field of risk management, business continuity and disaster recovery, with more than 9 years as a full-time BCP Program Director for two global organizations. Vicky has spoken at national, regional and local conferences for more than 20 years. Her experience provides her audience with a proven perspective on how to improve risk controls and continuity for their business operations, along with many practical examples of what the next steps may look like. Whether Vicky is addressing small groups or large audiences, her stories and practical guidance empower those listening to take action to create more resilient environments for their workplace. In September 2004, the Polk County Emergency Management Commission appointed A.J. Mums to lead the countywide agency responsible for preparing for, responding to and recovering from natural and man-made disaster. He originally began his service with the Polk County Emergency Management Agency in January 1999 as a disaster mitigation planner and went on to join the State of Iowa's Homeland Security and Emergency Management Division in July 2001 where he was eventually promoted to the position of Chief Planner. Mumm received a Bachelor's degree in biology and geography from Drake University and a Master's degree in community and regional planning from Iowa Sate University. A native of Westside, Iowa, A.J. and his wife Sabetha live in Ankeny with their two young children. John Neldeberg is an Operational Risk Manager and serves as a Regional Incident Manager on the Enterprise Incident Management team for Wells Fargo. His primary duties include management and organizational alignment of the companies Enterprise Incident Coordination Center. This internal organization manages all high severity events for Wells Fargo to include natural disasters, cyber security, life safety events and many others. He previously managed the Western U.S. for Life Safety and Communication planning, where his team supported approximately 400 plans along the western coast. John has been in the Emergency Management, Disaster Recovery and Business Continuity Planning business since 1993 were he received his start working with the State of Iowa Emergency Management Division at the peak of the floods of 1993. His duties entailed assisting the state recover from one of the largest natural disasters the mid-west has ever experienced. Throughout his career he as worked with private industry, federal, state, local governments, and private non-profit organizations assisting them in disaster planning and preparations. His disaster assignments have included a month long tour in New York City after September 11th working in the NYC Emergency Operations Center and at Ground Zero. He traveled to Guam in July of 2002 to help disaster victims recover from a devastating Typhoon. In Iowa he responded to the devastating F5 Tornado that struck Parkersburg in May of 2008 and worked in the state and county operations centers during the Iowa Floods of 2008. He also supported the devastating Ames flooding in 2010. He is currently involved with the American Red Cross as a volunteer supporting liaison work between government entities and the Red Cross. John has written, assisted, and conducted multiple emergency management exercises to test the adequacy of disaster plans. He has developed and conducted courses on emergency management, disaster planning, and damage assessment. He has been trained and has trained others in numerous areas of emergency management and disaster preparedness. John is a Certified Business Continuity Professional, a member of the International Association of Emergency Managers, Disaster Recovery Institute, and past president of the Iowa Contingency Planners. Ann Schmid is the Disaster Recovery Team Leader and Historic Preservation Specialist for the Iowa Economic Development Authority. Ann primarily works with assisting grant recipients with the expenditure of Federal Disaster Assistance grants and in compliance with the National Historic Preservation Act (NHPA). Ann is an expert in the Section 106 of the NHPA consultation process. She has a Master of Science in Historic Preservation degree from the School of the Art Institute of Chicago and a Bachelor of Arts degree from St. Olaf College. Ann has been practicing disaster recovery and historic preservation for over a decade. Ann has worked in Iowa since 2010. Prior to moving to Iowa Ann worked in a variety of preservation related roles in Chicago, IL. Dutch Geisinger joined the Safeguard Iowa Partnership on March 2, 2015. Prior to becoming the Executive Director, he served the United States Department of Homeland Security as a Protective Security Advisor for the South Dakota District. From 2003 to 2009, Dutch was employed by the Iowa Homeland Security and Emergency Management Division as the Homeland Security Program Manager and the Critical Infrastructure Protection Planner. He is also a veteran of the United States Army and the Iowa Army National Guard and served with he Cedar Falls Iowa Police Department. Dutch lives in Des Moines with his wife, Rita. He is a proud father of three daughters, three adorable granddaughters and three handsome grandsons.